If you're as old as I am, you'll know what a floppy disk is, also the fact that they only stored 1.2 MB of data and were huge. MicroSD cards are just really freaking small floppies that can store re-donk-u-lous amounts of data. 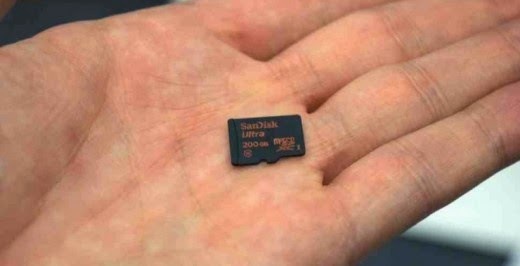 Well now you can store even more data as Sandisk has unveiled this latest 200GB offering. The card currently costs US$400 with transfer speeds of 90MB/sec - enabling you to lose all the digital crap you own at once after you misplace this tiny thing.